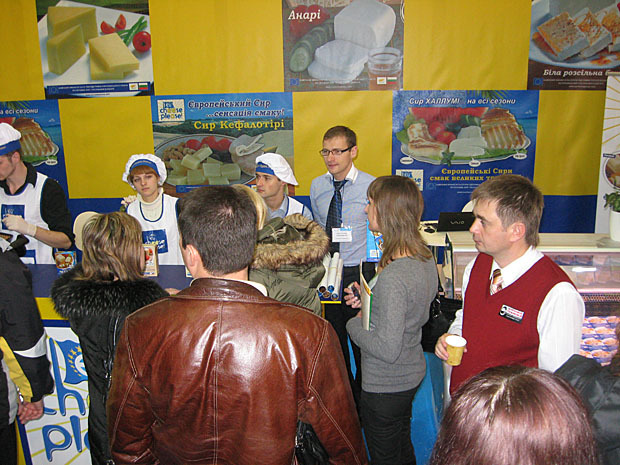 The World Food Ukraine 2010 Exhibition in Kiev from 26 -29 October, once again provided the perfect stage and opportunity to promote and inform key Ukrainian retailers and distributors about "EU Cheese Please", the promotional programme promoting a selection of the best European cheeses (Halloumi, White Brine Cheese, Kefalotyri, Kashkaval and Anari). 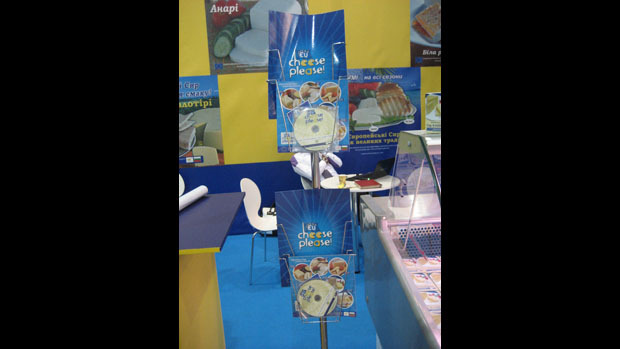 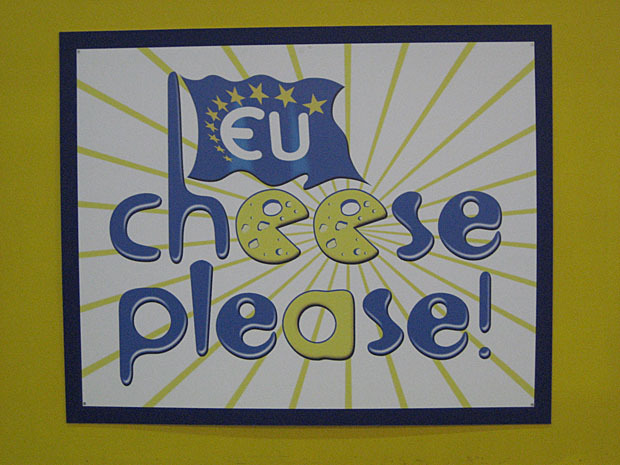 "EU Cheese Please" featured in the dairy section, Pavilion 1 Stand B33. 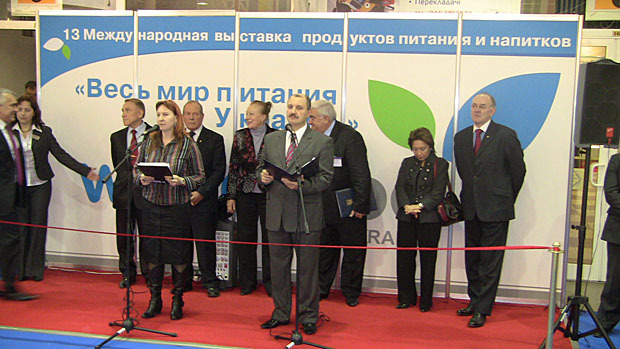 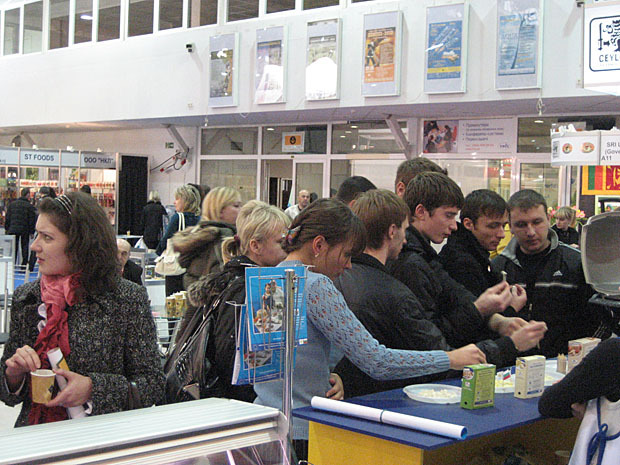 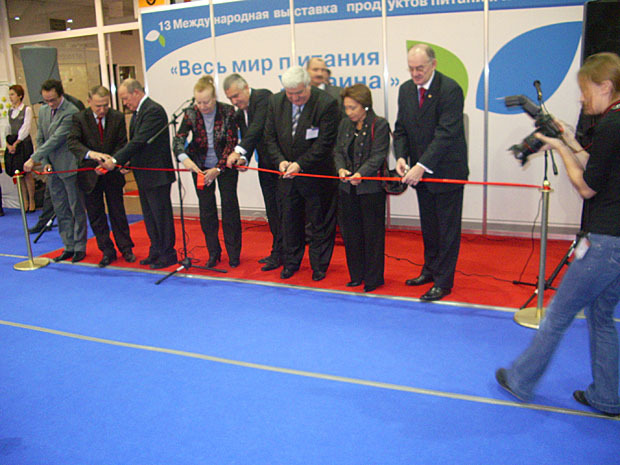 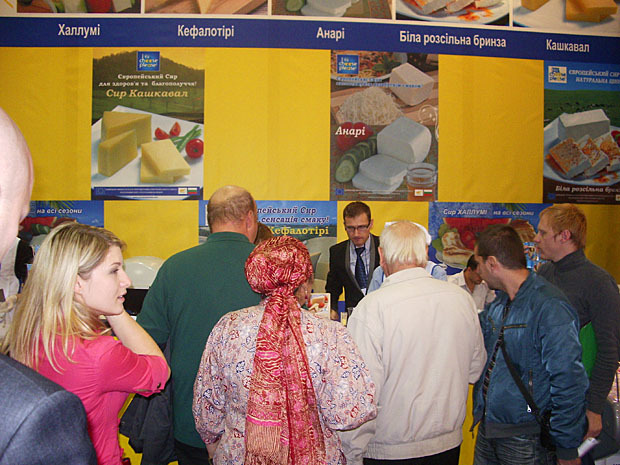 This was the second attendance at the World Food Ukraine exhibition and the fifth exhibition in a series of eleven to be attended by the project. 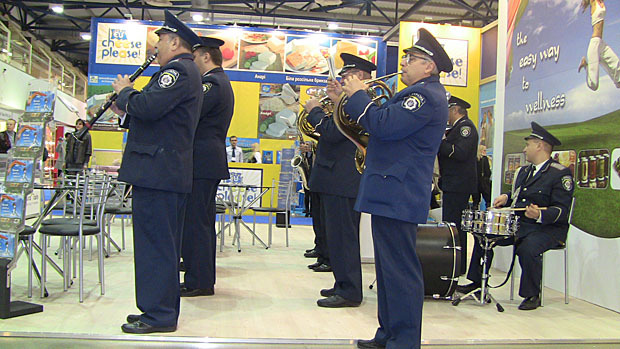 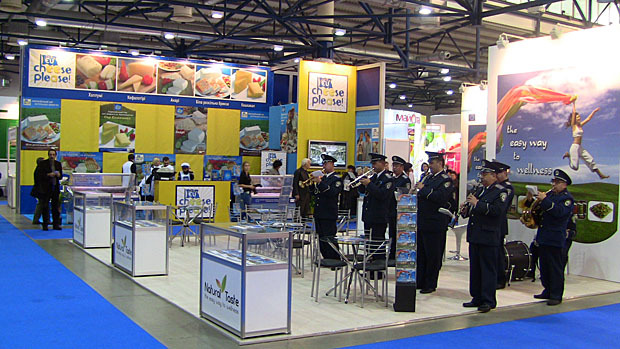 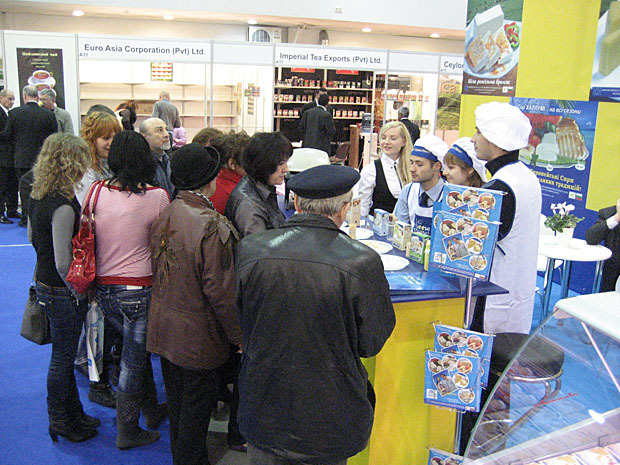 The World Food Ukraine exhibition is the premier meeting point for suppliers and influential professionals from the Ukrainian sector of food and beverages. 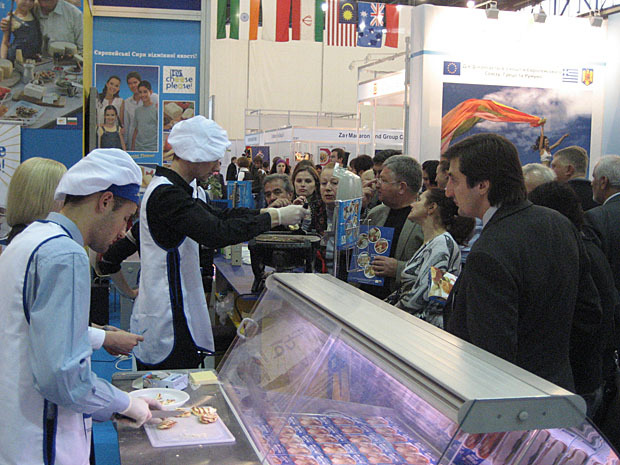 The exhibition featured a wide range of food and beverages of domestic and foreign manufacturers and distributors with over 8000 food industry professionals attending the exhibition along with other exhibition visitors. 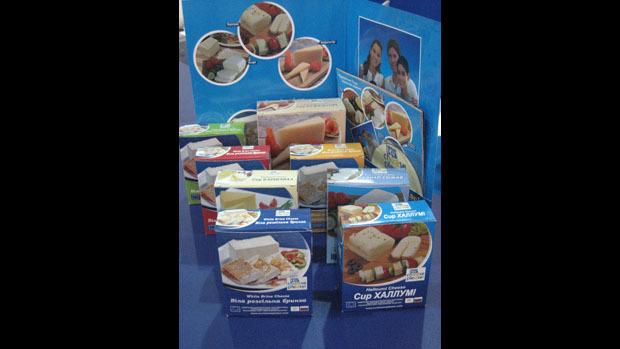 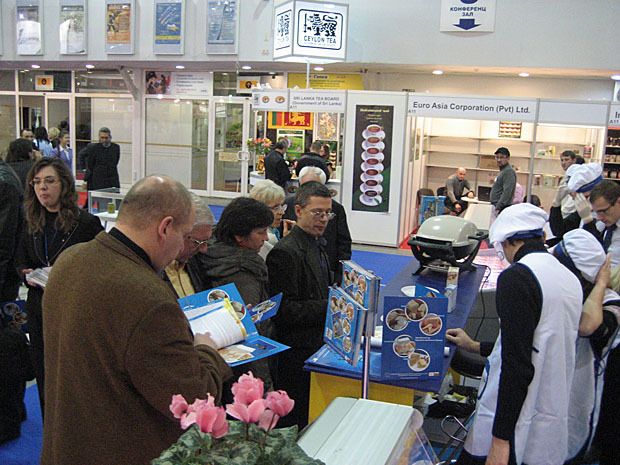 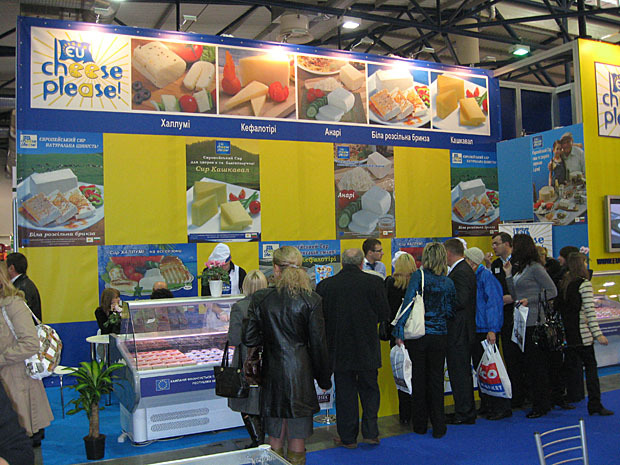 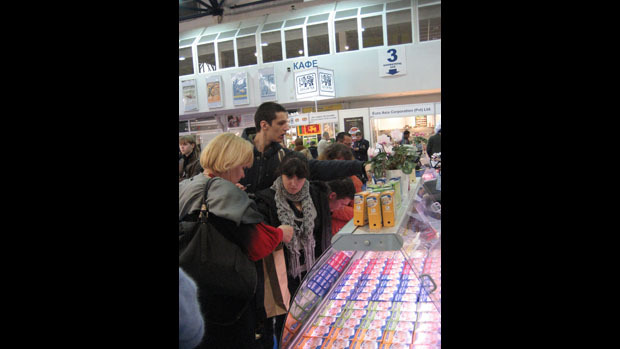 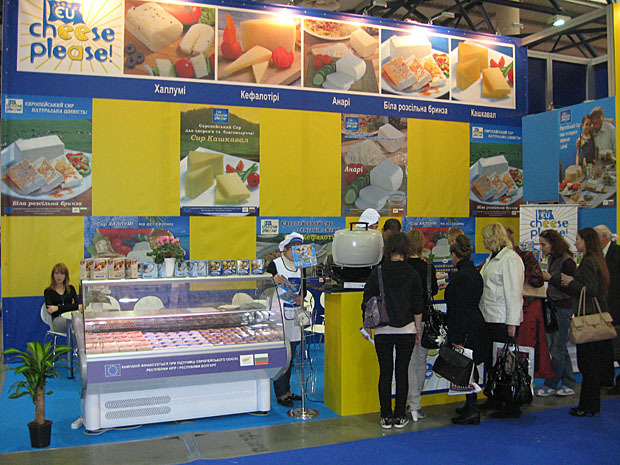 The "EU Cheese Please" World Food Ukraine exhibition attendance featured an impressive stand construction with striking poster displays printed on wall fittings to emphasise the five (5) cheeses (Halloumi, White Brine Cheese, Kashkaval, Anari and Kefalotyri). 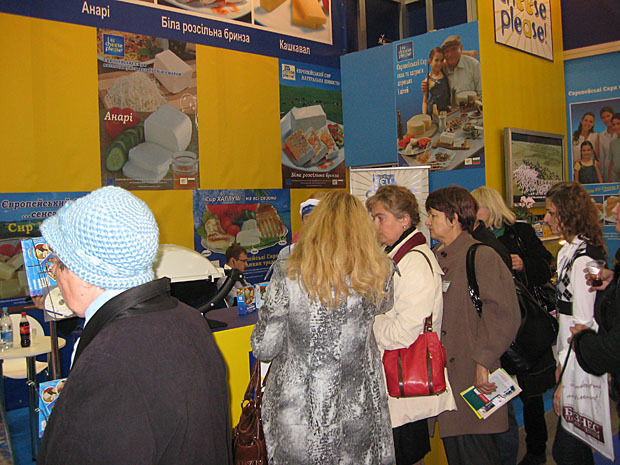 These features at the exhibition intended to remind visitors of the advertising and other promotions they have already seen throughout KIEV, in newspapers, specialised magazines, buses, billboards and television. 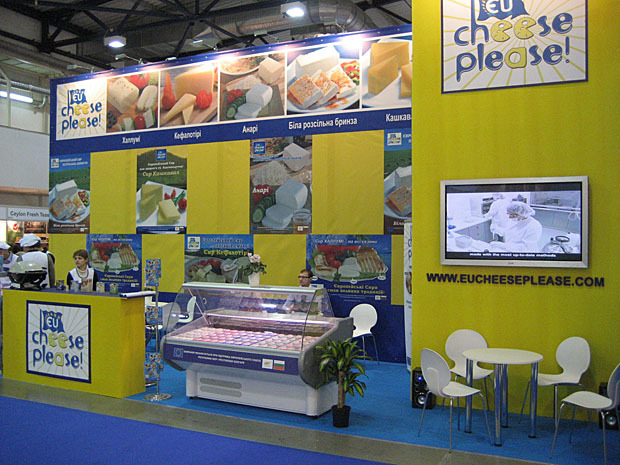 As in all of the "EU Cheese Please" exhibition attendances, exhibition visitors and food industry professionals can find a professional chef preparing all the cheeses for tasting and gracious hostesses offering the tasting platters to the stand patrons. 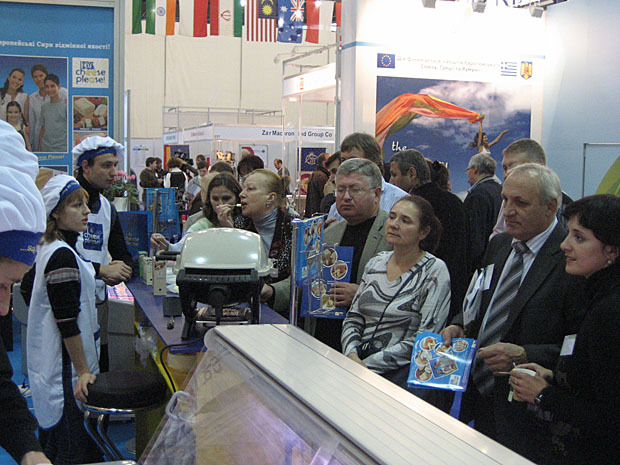 Particularly popular at the exhibition is the grilling of Halloumi cheese. 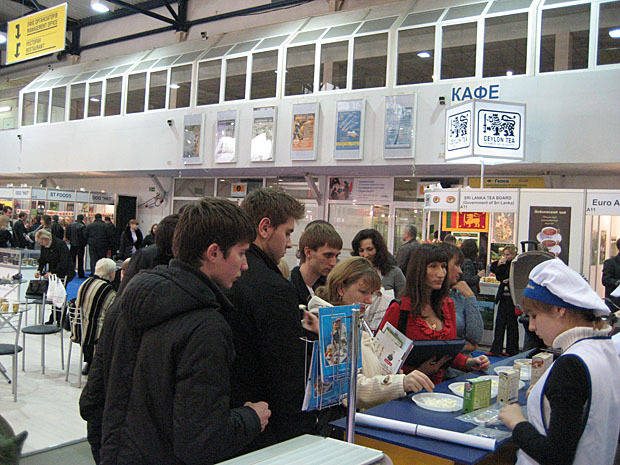 The large plasma screen located at the stand broadcasts a taped relay of the videos and especially produced project TV spot in the Ukrainian language. 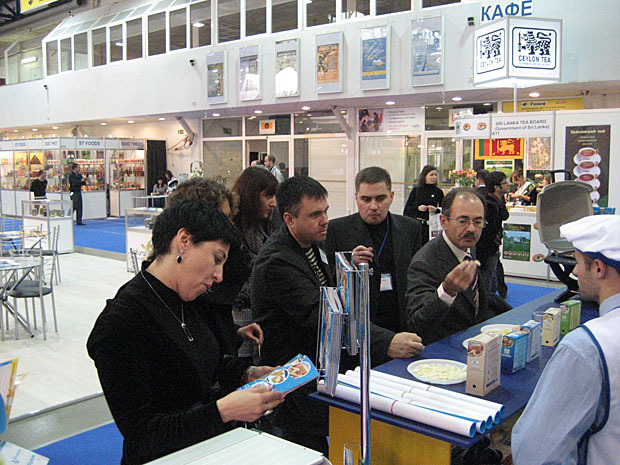 An interpreter is also always on hand at the stand throughout the exhibition to facilitate the process of good business communication where required. 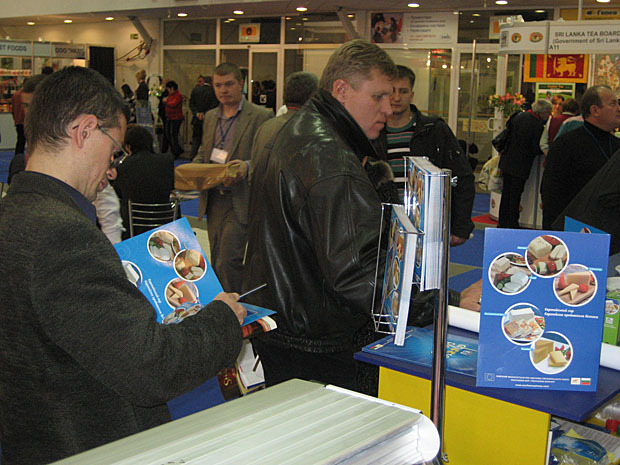 Gift bags filled with information and promotional materials were given away throughout the exhibition along with printed information materials such as project brochures, DVD's, folders and posters. 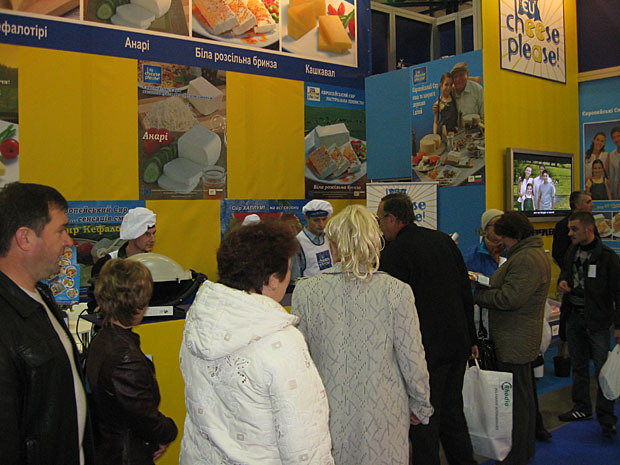 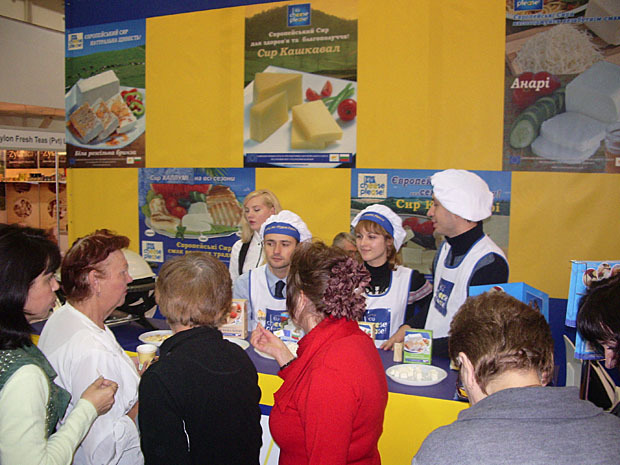 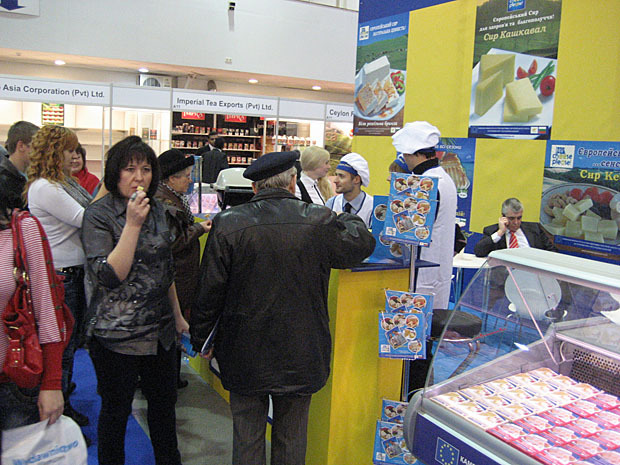 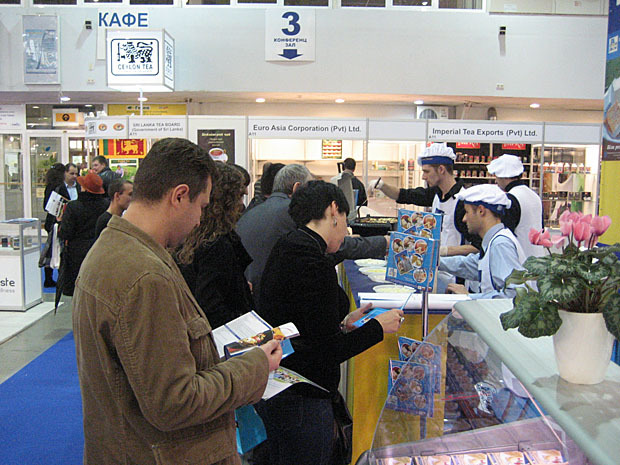 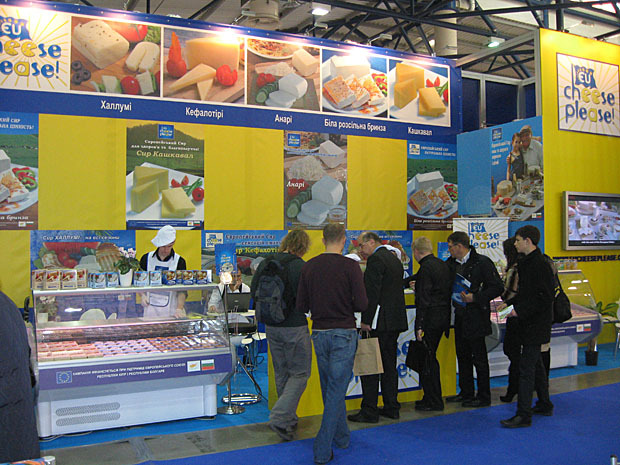 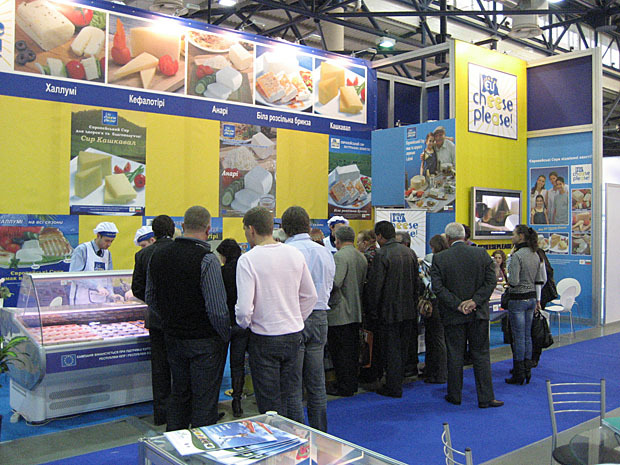 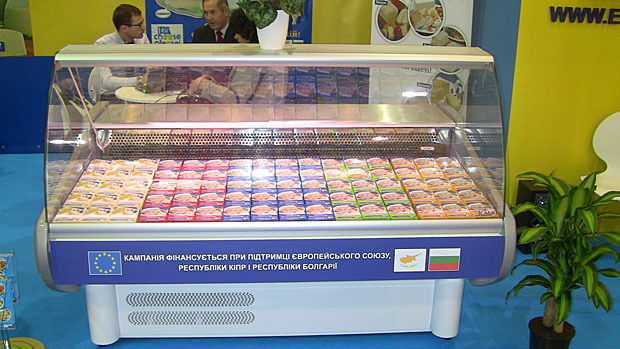 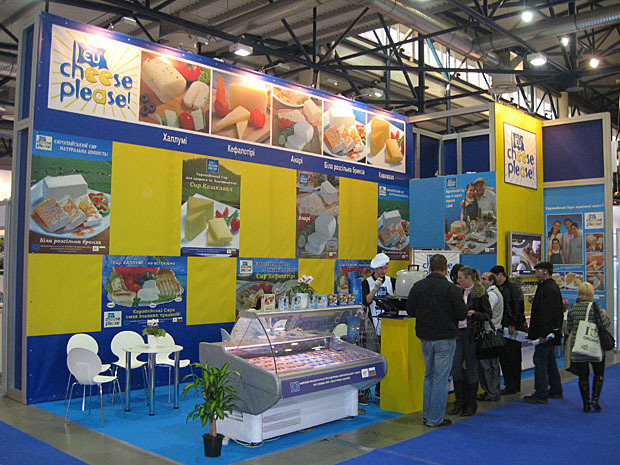 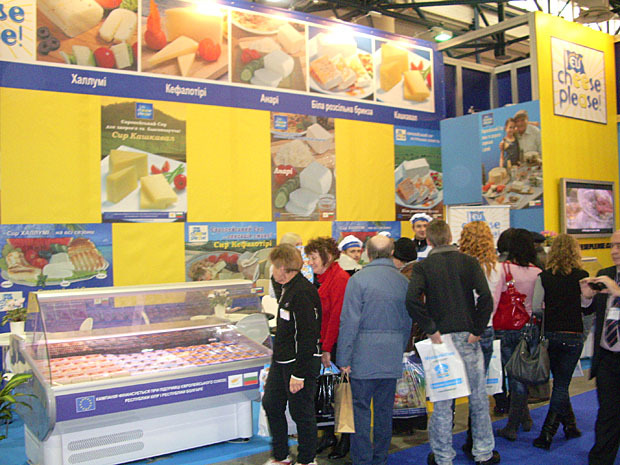 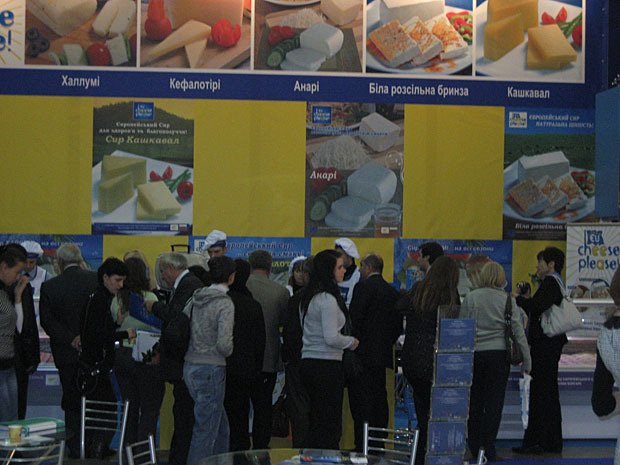 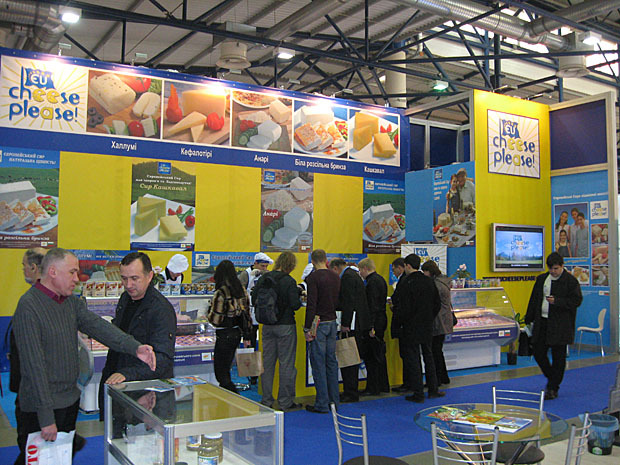 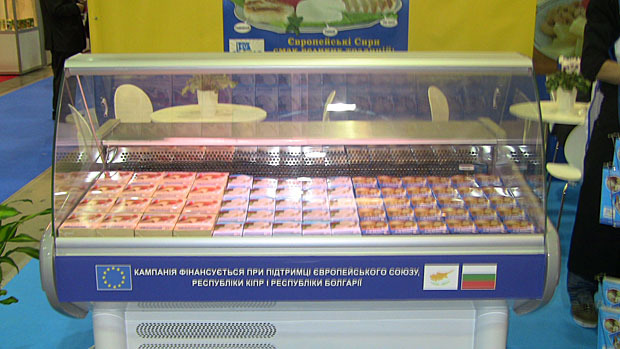 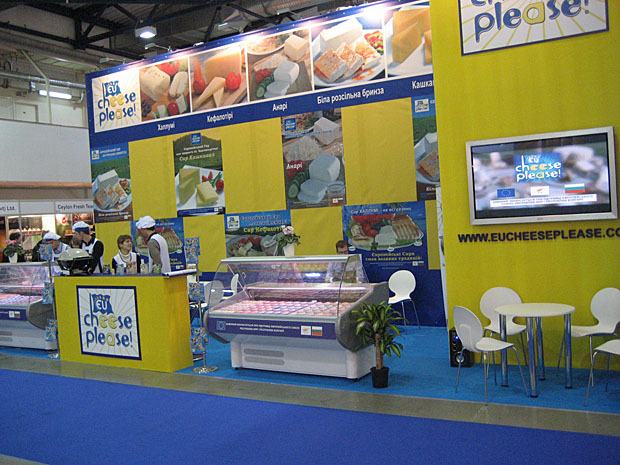 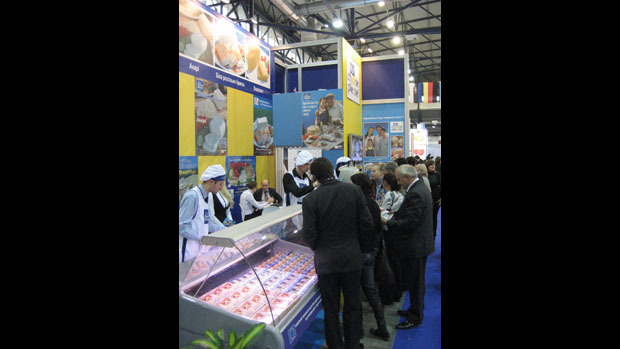 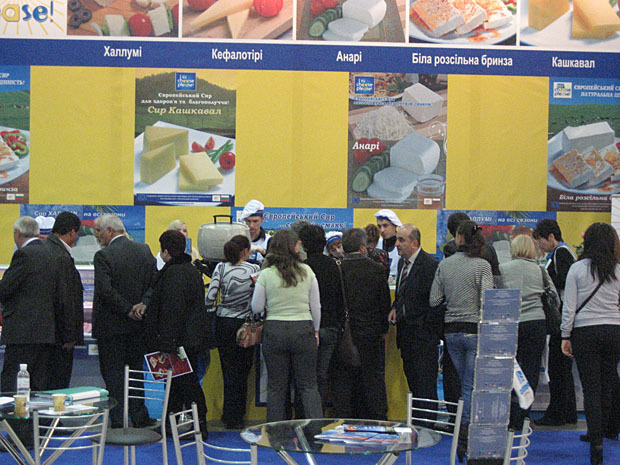 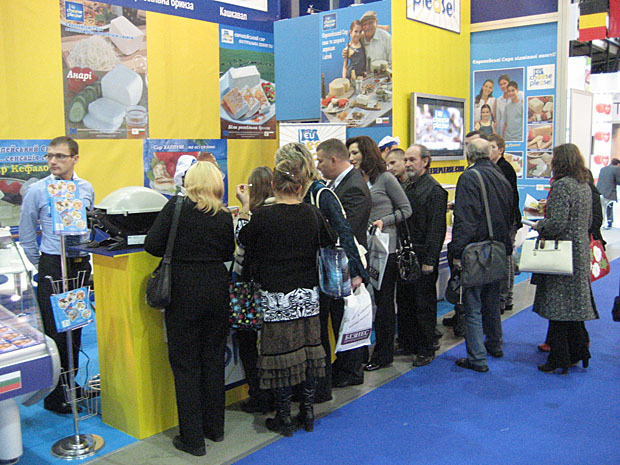 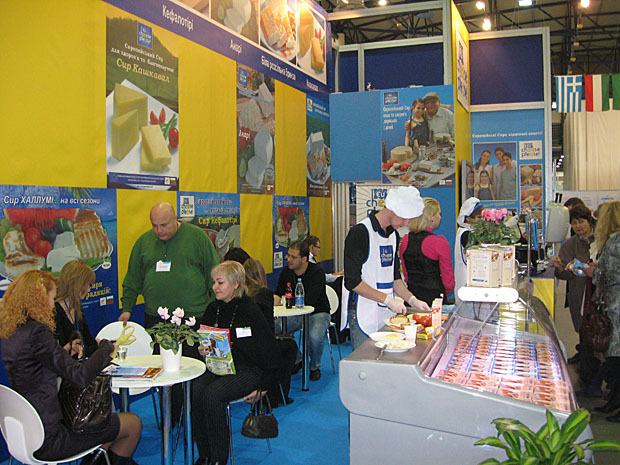 Overall, the "EU Cheese Please" stand organisers and proposing organisations are delighted with their World Food Ukraine 2010 participation as they can evidence that the five (5) European cheeses (Halloumi, White Brine Cheese, Kashkaval, Anari and Kefalotyri) are well promoted, recognised and preferred.